Boquillas is an historic mining town across the river from Big Bend National Park. Passport required. Tours include a row boat across the Rio, a ride to town via burro or pick up truck and tasty food from a local restaurant. Shop for arts and crafts before returning to the USA. Next, tour Hot Springs Historic Area, once a resort/spa/trading post. Bring bathing suit and towel! 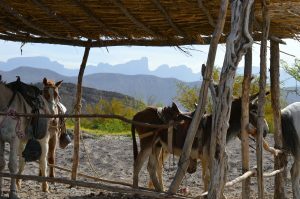 Meet Guests in Marathon, take US 385 south into Big Bend National Park. This brand new museum takes visitors through millions of years of geology, with displays and sculptures depicting the creatures who once roamed Big Bend. Boquillas Crossing is an official US Port of Entry. From the POE, a 200 yard walk brings one to the banks of the Rio Grande, where a row boat takes you into another country and perhaps another century. 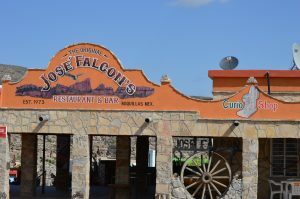 Take a burro, horse or pick up truck into town, have an authentic northern Mexican lunch, perhaps a cerveza. 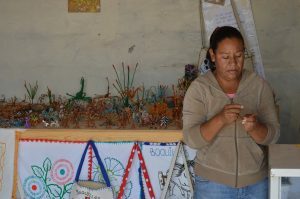 Explore the village of 300 souls where local artists create a variety of items out of native materials with local motifs of snakes, birds, scorpions, tarantulas, and of course, burros. Passport required. Boquillas Port of entry is manned by Big Bend National Park law enforcement rangers. Passports and passport cards are scanned and relayed to US Immigration in El Paso. You are on camera; an agent asks you the basic questions via telephone; What was the reason for your trip to Mexico, what are you bringing? It is a simple and fast process. Stop at Big Bend Park HQ. See an excellent short video and shop for interpretive and National Park related gifts. Return to Marathon via Park Road North and US 385 from the eastern Park entrance.